$1.99 to $99.99 & FREE Shipping on orders over $59 $35. 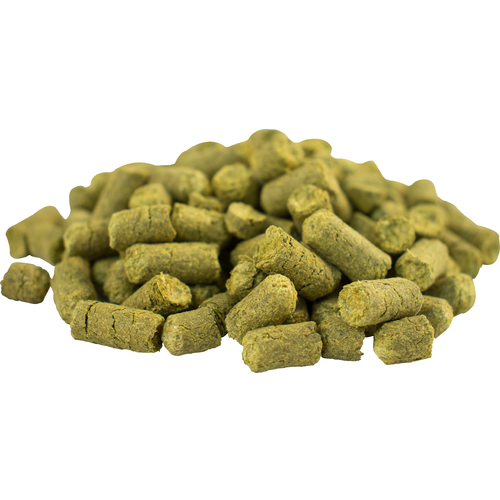 Centennial hops are a balanced bittering and aromatic hop with a decidedly American nature and uniquely pungent flavor. An intense citrus aroma with pronounced lemon notes also gives off some floral qualities that blend well with IPAs, APAs, and Pale Ales. Centennial hops are sometimes referenced to as a super charged Cascade without the grapefruit flavors of Cascade. Centennial hops also blend well with Chinook and Columbus hops. Amber Ale was delicious! Making again. Cascadian/Black IPA Recipe from Zymurgy magazine. Excellent inexpensive hop. Using it in a habanero strong ale. Trying to use a different hop. I am brewing the Resilience IPA from the AHA website. Recipes that call for it. I use it for bittering and flavor for my IPAs. Consistently good. Ordered moreWrite your review here. It must be at least 20 characters long. Consider whether you would recommend this product and what you like or dislike about it. Delicious. Made a 100% centennial ipa with these, very good. can always count on more beer for shipping promptly. they are usually in stock on what you need and they have the variety to fulfill your needs. More beer always has the freshest hops. Works great with Cascade or Amarillo. Another go to hop for my IPA's. A great citrus hop for IPA's. Fresh Centennial Hop pellets in vacuum packed O2 barrier bag. Love the C's. I love this hop for all my pales and IPA's! This is my favorite hop. Mixes well with amarillo and cascade. The fruity character come through perfectly when used as a dry hop. Got a few rhizomes and their growing well. Cant wait to use as wet hop in the fall. This is the only hop in Bell's IPA! What a great hop this is. It's not totally pungent like CTZ, but it adds great character to a West Coast Hoppy beer. Good choice.